This will be our second attempt to eat healthier and comes from “The Sonoma Diet” by Dr. Connie Guttersen and is the Szechwan Beef and Snow Pea Stir Fry. Mrs. G’s made this dish for me before (long before we started this blog). It’s a very tasty dish and is quite versatile. The beef can easily subbed out for chicken or shrimp and the vegetables can be switched to meet your tastes or for whatever is in season. For this dish, I turned over the reins and let Mrs. G do the cooking. 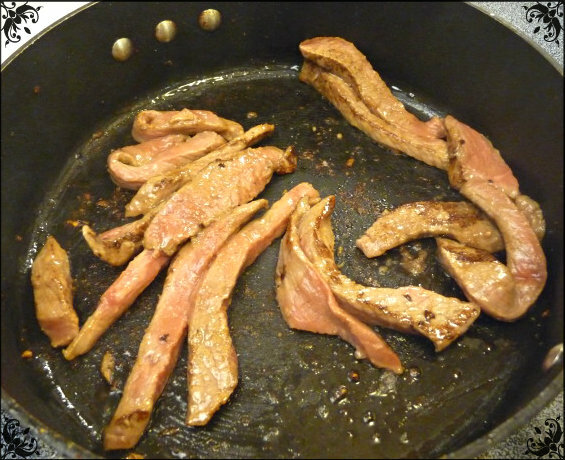 Trim fat from beef and cut into thin bite size strips. 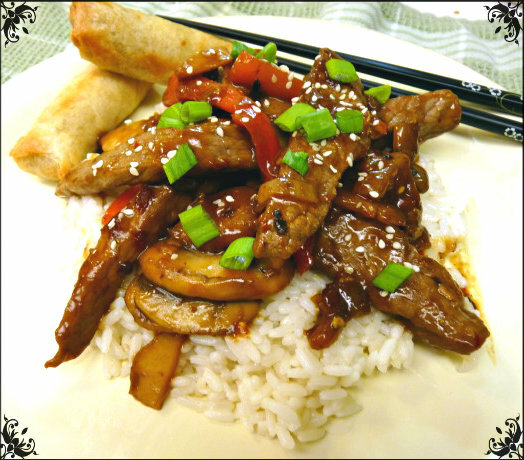 Place beef in a medium bowl and add 1 tbsp soy sauce and 1 tsp cornstarch and stir to combine. Cover and let stand at least 15 minutes to marinate. 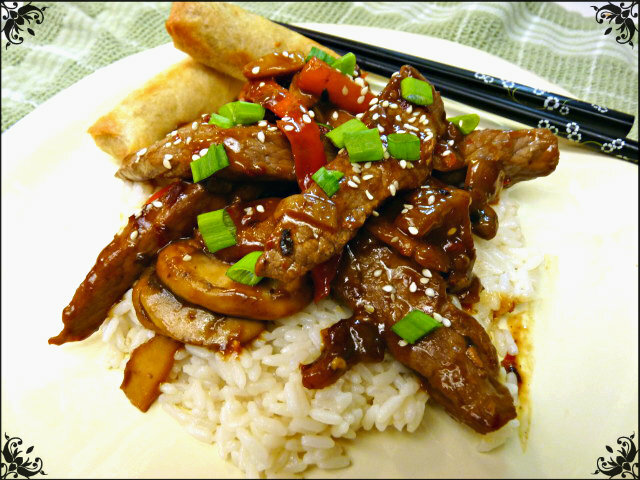 For the sauce, combine 3 tbsp of soy sauce, sherry, chili sauce, water, 1 tbsp cornstarch and sesame oil. In a wok or very large skillet, heat canola oil over medium-high heat. Add garlic and ginger and stir fry for 30 seconds. 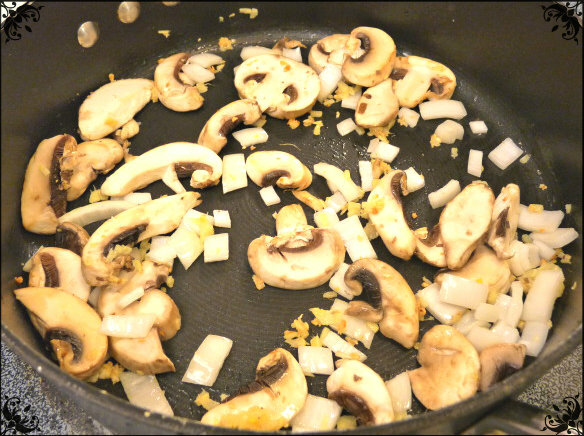 Add mushrooms (and onion if using) and stir-fry for 1 minute. Add carrots, stir-fry 2 minutes. Add bell peppers and pea pods, stir fry for 2 minutes. 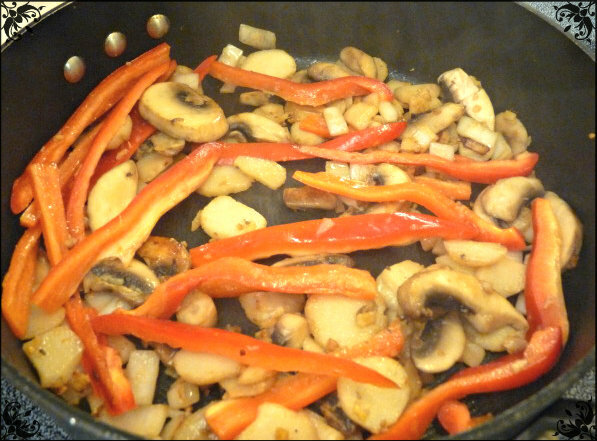 Remove vegetables from wok or skillet and set aside. Allow wok to heat back up and add 1 tbsp canola oil. 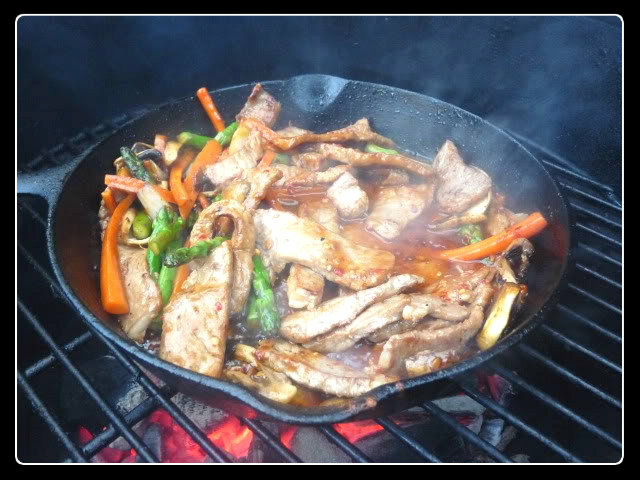 Once heated, add beef mixture and stir-fry for 2 to 3 minutes or until desired doneness. Stir sauce and add to wok. Cook and stir until thickened and bubbly. Cook for additional 2 minutes. Return vegetables to wok and stir to coat with sauce. Continue cooking until heated through. Garnish with green onion and sesame seeds if desired. Somehow, I got distracted and didn’t get anymore pictures until the meal was completed. I had to feed the dogs and I think I was instructed to wash some dishes while Mrs. G was finishing it up. Just because you are eating healthy, doesn’t mean you have to skimp on flavor and this dish has it in spades. Tons of flavor and easily to adjust by changing the protein or the veggies. Want more heat? Up the chili sauce, or add peppers. A great beginner dish for first time stir-fryers to try, just make sure that all your meat, veggies and sauces are prepped prior to starting to cook. Once you begin, you can’t stop to cut up carrots or bell peppers or other veggies. In 30 minutes, you’ll have a taste of the Orient, with more flavor (and cheaper) than delivery. 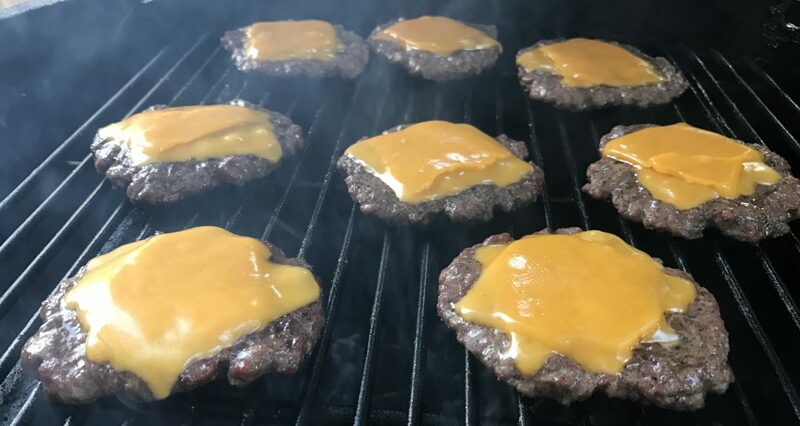 And just so you fellow Eggheads (and other grilling enthusiasts) know, this can easily be cooked on the Big Green Egg. In fact, was one of the first stir-fry dishes I attempted and was what convinced me to get a spider and a wok for the Egg. I recommend cooking this dish somewhere around 500-550. And here is a picture of that first attempt way back in May of 2011. As you can see, I used onions, mushrooms, carrots and asparagus in this version. I need to eat healthier at least on occasion. I like that this doesn’t skimp on flavor and kick.